People who own pets are happier and healthier than people who do not have pets. It does not matter how young or old you are, the benefits of pet ownership have been proven in scientific studies. Studies done on infants found that of children brought up in households with pets 19% had allergies, compared to households with no pets where 33% of children had allergies. There were less cases of eczema in households with pets, as well. It is believed that the exposure to dirt and germs, in small doses, helps to strengthen the child's immune system. Owning a pet has also been found to be beneficial to the elderly. Sufferers of Alzheimer's are found to have fewer anxious outbursts when a pet is in the household or home. 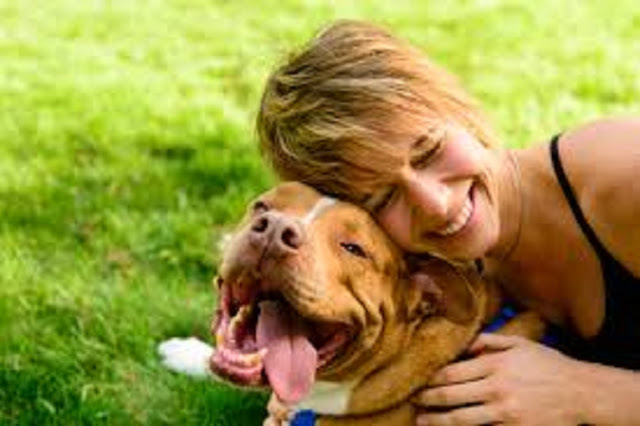 Pet ownership aids in the prevention of depression. The time spent with pets increases the quality of life for sufferers and decreases the time and seriousness of attacks. Spending time with a pet outdoors, watching them play is relaxing and helps releases good hormones to combat the imbalance of bad hormones. Heart attack victims have a shorter recovery period and are less likely to suffer another heart attack when they have a pet. Pet ownership has been proven to lower blood pressure, lower cholesterol and lower triglyceride levels. This helps prevent heart disease, stroke, diabetes and similar illnesses. Owning a pet boosts your immunity so you are less likely to become ill. The exposure to the small amount of dirt from the pet helps your body to fight back and increases your body's ability to resist more dirt and germs. The good feeling you get from quality time spent with your pet boosts your mood, increasing the good hormones, which make you feel happy and make your body stronger against illness and disease. If you have a dog, the exercise you get from walking him helps your health as well. Everyone can benefit from more exercise, not just the elderly. A brisk walk clears the cobwebs in your head, increases circulation, increases respiration and exercises your muscles. One benefit of having a pet, especially a dog, is the social benefit. When you take your dog for a walk, you may notice people are more willing to begin a conversion with you. They will comment on your dog first. A dog is a great icebreaker. Most people either like or dislike dogs. You will find the ones who begin a conversation with you are dog lovers. This makes it easy to begin a conversation as you already have something in common, that is, you love of dogs. Older people who are isolated may find walking their dog is a good way of meeting others and striking up friendships. Shy people can also benefit from this because the conversation will be about their pet and not them. Give it a try. If you have been considering getting a pet the health benefits should be enough to get you motivated. When you care for a pet, the pet will care for you, in more ways than you know.